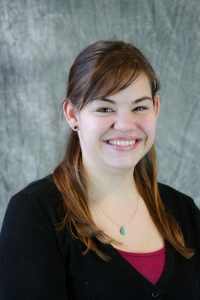 In September of 2012 Fern Ridge was fortunate to hire Billie Perrier as a classroom teacher at Elmira Elementary School. She and Kevin Perrier have been married for 12 years and together they have two daughters. Kenna is almost 3 and Tessa just celebrated her first birthday! Mrs. Perrier has taught both Kindergarten and First grade at EES. Her passion for teaching and willingness to collaborate with peers is evident each and every day. She is active in the Rural Schools Network Professional Development and is a Teacher-Leader with the Professional Learning Communities Initiative. She strives to create a safe and welcoming learning environment in her classroom for all of her students and has excellent classroom management skills. Her principal let us know that Mrs. Perrier is always looking to improve and often volunteers for extra activities such as serving on the reading committee, being a teacher representative on the EES Parent-Teacher Association and has worked on multiple grants for the school. Mrs. Perrier’s love of teaching and dedication to her students help make Elmira Elementary an even better place for all students and staff. Congratulations Mrs. Perrier!